Hey guys! This is just a flash review on a product I've been wanting to have, the Ben Nye Banana Luxury Powder. I've been thinking a lot if this product will meet my expectations after reading and watching so many great reviews about it for the past couple of months. I wasn't really worried about the quality since there isn't a single bad review about it that I know of. I was actually more worried if it will match the color of my skin. I've seen several different shades of Ben Nye swatches on line apart from Banana like Buff, Cameo and Beige Suede which is why I became quite confused on which shade to get. Although Banana is mostly recommended for Asians, their swatches tend to look too yellow for my liking. Good thing I went ahead with choosing it anyway because it really goes on almost unnoticed on my face! I got the the medium tub (85 gm) and I have to agree with the others about the crappy packaging. Well it's not at all that bad looking but you'll see the problem once you try to dispense the powder. I tried sprinkling a little on the cap but it poured all over so you really need to be extra careful not to squeeze or tap the bottle too hard. You may want to transfer it in a bigger powder container like the one I got from beabi a few years ago. It might still look like a mess but at least you have a wider area to dip your brush in and you can save most of it from spilling. Enough about the small stuff, you won't be too bothered by the container once you start using the Ben Nye Banana Luxury Powder. This powder is so fine and is virtually scent free. 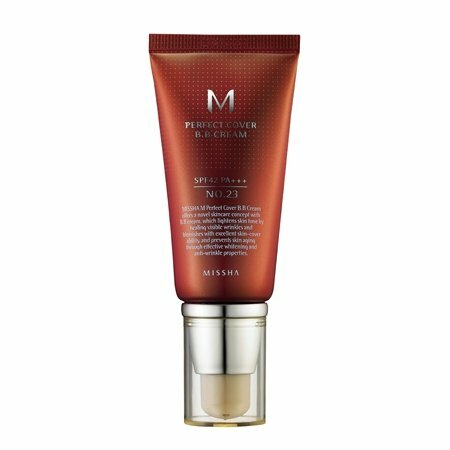 I love that it applied smoothly on my skin and how it looked natural and almost unnoticed. I feel like it instantly hid my pores and kept my face from looking greasy. It did cake a little towards the afternoon but it was hardly noticeable. I also love that It didn't cause me any skin reactions. I guess the only major downside to this is the expensive tag when you buy it from local online stores. This only retails for $16 or 656 Php when you buy them abroad but online sellers in Manila go as high as 1,050 Php which is roughly $26! Overall, this product is to die for and I can confidently say that I will stick to it until a better one comes along. I do recommend it to all of you who still haven't tried it. Don't be too afraid of the shades you see on pictures because it doesn't come off that way if you use it sparingly and blend it evenly on your face. Although the price is a bit steep, the quality truly compensates for it. Hello guys! Today is my 3rd Diet Diva day and it's been looking really good so far. I have to admit I keep forgetting to take pictures this is why I don't have much to show you. Good thing Diet Diva posts accurate pictures of what they deliver everyday. Today's breakfast consisted of Chicken and Potato with Boiled Egg and Red Rice Mix. The flavor is actually good, I love that the egg was cooked perfectly but the potatoes weren't such a hit. I don't know about the others but I prefer soft ones rather than half cooked. I give this meal ★★★. 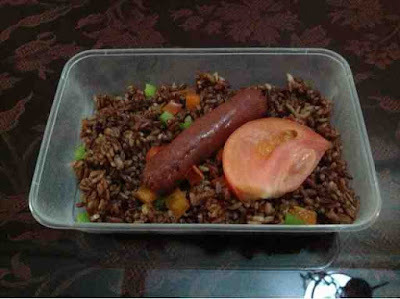 I had Beef Steak with Red Mountain Rice for lunch and it was really delicious! This is by far my most favorite dish and I would welcome a repetition of this anytime. Although there wasn't enough sauce, still the beef chunks were filled with flavor. This dish deserves ★★★★★. I finally remembered to take a picture! 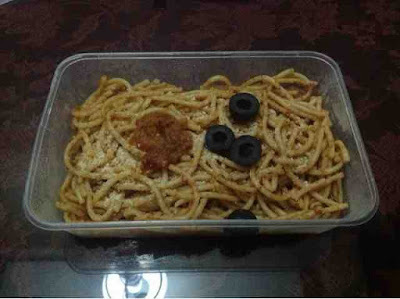 This Sun dried Tomatoes and Spicy Sardines Whole Wheat Pasta was my dinner and though I'm a bit partial to pasta when on a diet, I trust Diet Diva for including this in the program. I'm a pasta lover but I enjoy sweet and cheesy pasta dishes better than classic Italian. This wasn't so bad and I'm pretty sure others may find this delicious but it's not my kind of pasta so I'm giving it ★★. Good thing I brought the crackers with me because I got a little hungry before my Zumba class started. 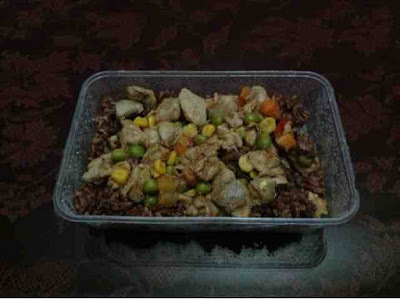 My 3rd day with Diet Diva was really great! 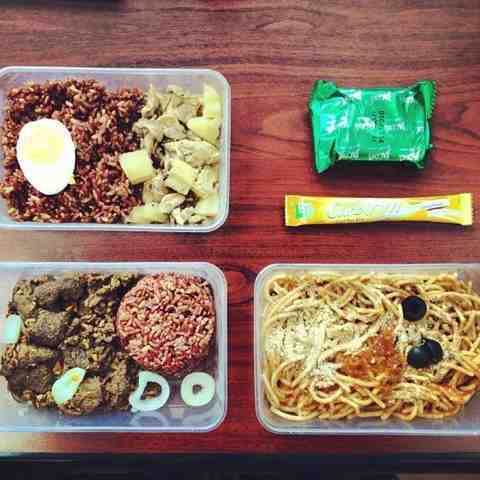 Everything I ate got me through the day with less cravings hence preventing me to stray away from the program. I know I said it before but I'll say it again, I'm loving Diet Diva to bits! I can't wait to see what Day 4 will be like so do check back in for updates. Thanks for reading and have a wonderful day! Hey everyone! 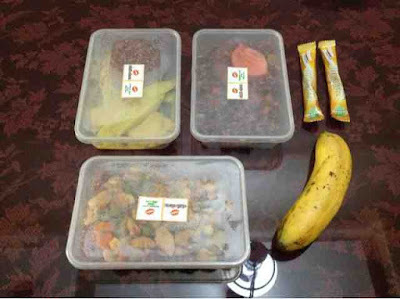 Today is my 2nd day with Diet Diva and I must tell you this early that I'm loving their service. I actually got to eat breakfast before my morning Zumba class so that's a good thing. I usually do Zumba in the morning without eating breakfast since I don't want to be late for class. Because Diet Diva delivers super early, I was able to bring breakfast with me to the gym and ate it before the class started. The difference? Really big! I didn't feel weak after the workout unlike before when I feel dead tired in the morning after a class and end up over eating on the next meal. Forgive me for I wasn't able to take actual pictures of all the meals Diet Diva delivered this morning as well as my breakfast because my day started really early. So above image is courtesy of Diet Diva's Facebook page. Breakfast was soooo delicious! 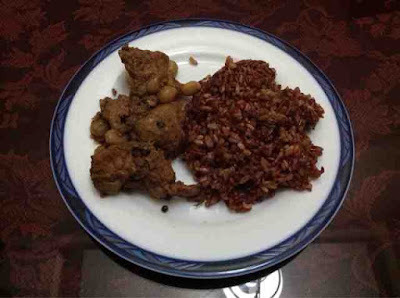 The Tuna filling in their Wheat Pandesal tasted like heaven! I have to say it's the most delicious Tuna sandwich I've ever tasted. I love the generous amount of tuna filling with no extenders like onions or excess mayo. I didn't take the chocolate drink with me so I missed it. Anyway, this meal deserves ★ ★ ★ ★ ★ . I almost missed taking a picture of today's lunch which consisted of Pork Humba with Red Mountain Rice and they tasted so good! The pork chunks were tender and the sweet sauce gave this dish an amazing flavor. Hence I give this meal ★ ★ ★ ★ ★ . 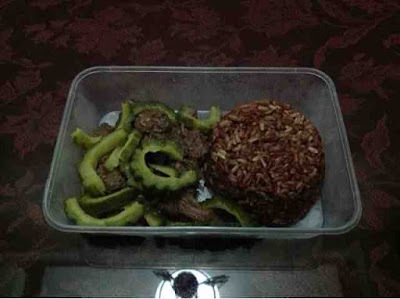 For dinner, I got Ampalaya Con Carne with Red Rice. I'm not a veggie eater so I fished out the Ampalaya strips and ate the meat which to my surprise didn't have a tinge of bitterness. It actually tasted a bit sweet and was really good. This dish, deserves ★ ★ ★ ★ ★ . I didn't get to eat snacks and instead drank a bottle of unsweetened coconut water which roughly has 90 calories. So far so good! Diet Diva is really proving to be a great fitness partner. We'll see what happens! Thanks for bearing with me and have a cheerful day! Hello everyone! 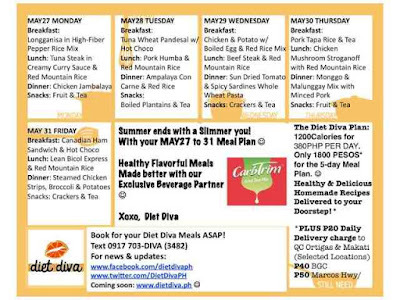 I just want to share with you how excited I am for this coming week because I finally reserved a slot with Diet Diva. If you're not familiar with Diet Diva, it is a food delivery service that offers 3 main meals and a snack each day from Monday to Friday. What's really great about their service is that meals per day are set at 1,200 calories hence saving you the hassle of having to watch what you eat. I first heard of Diet Diva from a friend so I got a little curious and checked out their Facebook page and Instagram account. As I browsed through these sites and learned about them more, I couldn't help but think of how amazing this system is. 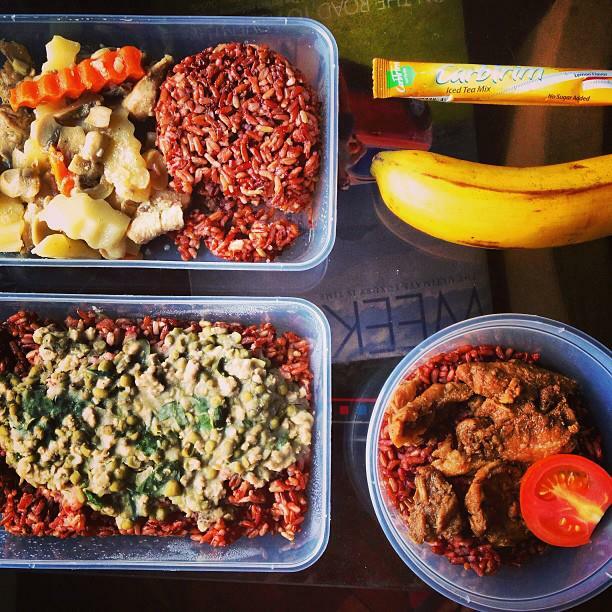 You get not only a diet plan but freshly cooked meals as well delivered right to your doorstep! I find that this service is priced reasonably, not at all expensive but not cheap either. 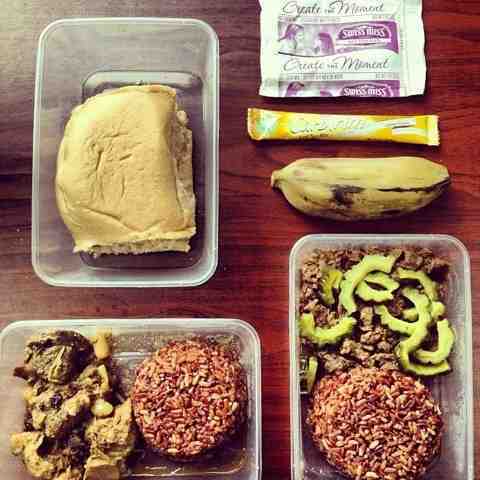 My meals for an entire day cost 380 Php including delivery charge within Q.C. It's most suitable for those who live alone or in dorms and can't prepare their own meals all the time. I also think it fits well with those who work away from home and are always bound to eat out or bring their lunch and snacks in the workplace. 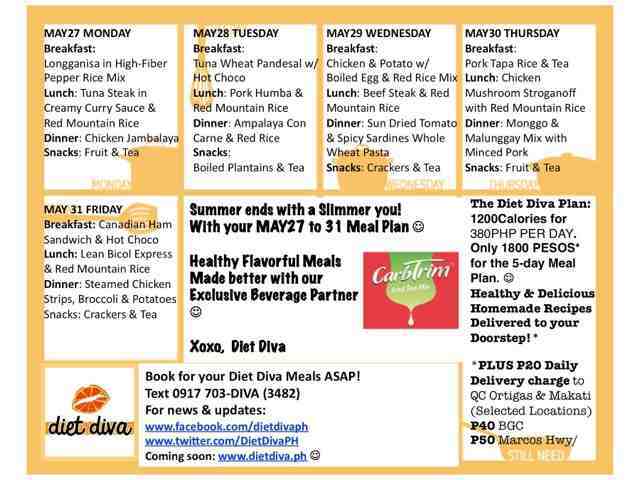 Since I recently went back to Zumba, this is the best time for me to subscribe to Diet Diva. Above image shows you their week long menu and I can't wait to start! I'm hopeful for good results and I'll be keeping you posted with what happens next. Wish me luck! Hey everyone! Yesterday I went to Trinoma and got myself a few stuff which I will be reviewing in the next few weeks. I really need time to use certain products especially those for skin care before I can write my reviews. Anyway, I also dropped by Power Books just to browse through their sale items and I ended up buying something you don't expect to buy from a book store, a comb but not just any comb, it's Hair Doctor's rotating tooth comb. Does this look familiar? If you're around my age, you'd know how the Hair Doctor became one of every teenager's must haves. I had several generic ones that you can buy for a fraction of the cost but they never came close to the original Hair Doctor when it comes to durability. I eventually saved enough to buy this in pink (not at all a surprise) and it served me well throughout college until I lost it. This is why I bought one without thinking twice! Good thing they're still in the market and that the excellent quality hasn't changed. It has a hard plastic base and handle with rotating steel bristles. Back then, we used to call it untangler because it does a great job of removing tangles easily. It's much more gentle than conventional combs because the rotating bristles glide through your hair and keep you from pulling the strands thus minimizing hair fall. It also massages your scalp with its blunt and smooth tips. I love that you can use it for damp hair especially after taking a bath. 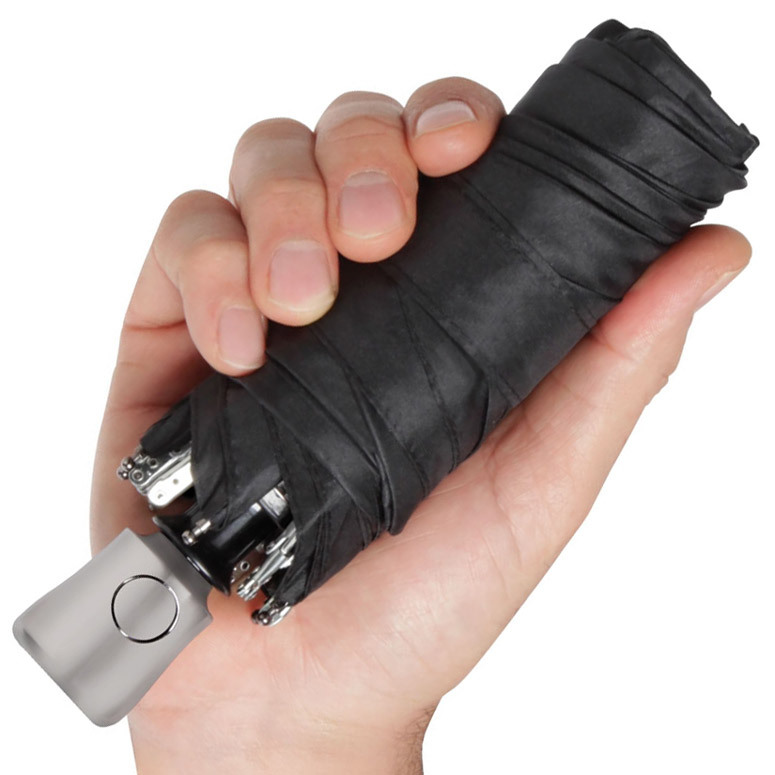 It's also great for travel because it's slim and lightweight making it easy to carry around. Overall, I love this comb to bits that I recommend it to everyone. They actually have one for kids with rotating bristles made of soft plastic so you may opt to get that for your tots. As for me, this little baby will go places, I just hope I won't lose it again but if I do, I will definitely buy another. Good thing we attended the luncheon symposium sponsored by J&J so we got several samples of their baby products. I was too excited to try them so I used the baby top-to-toe wash that evening. Johnson's baby top-to-toe wash is translucent yellow in color and has a mild, fresh scent. The consistency is thinner than a regular shampoo so it spreads easily on your face and body. It doesn't build up too much lather but your skin feels really clean with a little tightness that doesn't look dry. After just a few days of use, I was able to see a difference on my blemish prone skin. I didn't break out during my period and one pimple didn't go full blown. My post acne marks seem to have lightened faster than the usual weeks to months of being noticeably dark. Johnson's baby bath on the other hand is translucent blue and has a mild, powdery scent. The consistency and effects on the skin are similar with top-to-toe wash. Although the latter did a great job in cleansing my face and keeping it moisturized, Johnson's baby bath seemed better in keeping the skin's moisture, judging by the way my skin feels smooth and supple after every use. It didn't irritate my skin and it also prevented me from breaking out even during my period. My skin also had a more noticeable improvement when I started using this. Both Johnson's baby bath and top-to-toe wash retail for 44.25 Php per 100 ml bottle and you can save more if you buy the 200 ml bottle for 84.50 Php or the 500 ml bottle for 195.50 Php. Overall, I am hooked to these baby products from J&J because they are effective in maintaining a healthy, moisturized and pimple free skin. I will definitely repurchase them because aside from being effective they are also way more affordable than the usual facial wash in the market. I definitely recommend them to those of you who are still on the look out for a good and affordable facial wash that works well even for sensitive and blemish prone skin. "Thanks for reading and have a blessed day!" Hey everyone! It's about time I post a hair care review after doing what seems like a thread of reviews on skin care products. Anyway, I have to admit that I don't splurge much when it comes to hair care because I'm fortunately gifted with manageable hence low maintenance tresses. This is why I get thrilled whenever I get hair care stuff. Just to give you an idea, I have long straight hair the color of which borders between black and dark brown. I never had any major procedures done to my hair except for a couple of hot oil and keratin treatments with hair color enhancements. I don't have a regular hair care regimen so I just use hair treatment products given to me like this one from Kerastase via Miss Shen's 4th year anniversary give away. The Kerastase Elixir Ultimate beautifying scented oil (inhales) comes in this sleek 125 ml plastic bottle. The consistency is comparable to a cleansing oil, much like Shu Uemura's. I love that it's not as thick as an ordinary oil that can clump your hair strands making them look sticky. This one actually nourishes and hydrates your hair without looking greasy. I love that it smells amazing and that it makes my hair feel light and soft to touch. It's also capable of taming short strands that tend to stray away from the rest of your hair. I use this after bath while my hair is damp and let it air dry while I do my skin care routine in the morning. I'm quite impressed that a single pump is enough to cover the entire length of my hair. I love that the pump dispenser can be locked making it spill proof and easy to carry around. Overall, I really like this hair treatment a lot that it has become my daily hair care regimen but I won't be buying another like it since I prefer trying different hair care products. I do recommend it to those who want a hair care treatment that smells good and does a great job of keeping your tresses look and feel healthy. Any hair care regimen you're loving at the moment? Do share them on the comments section below. Thanks for reading and have a stress free day! I am a certified BB Cream fanatic. You can tell from my posts that I've been running around trying every BB Cream I can afford to buy. I've purchased and used BB Creams tagged as low as 150 Php to a whopping 2,100 Php (chokes) a pop. I admit to having less hits than misses but like mistakes we all make in life, I prefer to move on and charge everything to experience. My love affair with BB Cream dates back to February 2012 when I bought the Missha M Perfect Cover BB Cream. I didn't like it for several reasons and eventually gave it to my mom who loved it to bits that up to now she still prefers it over other BB Creams. My quest continued until I finally found a few that totally made me a fanatic. 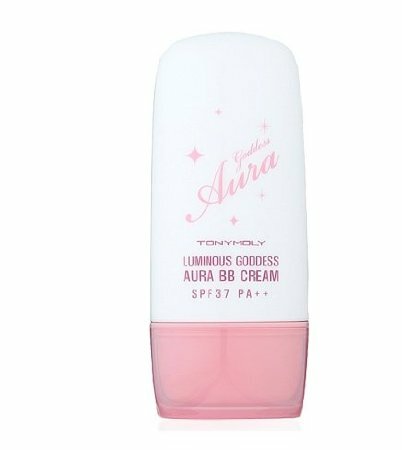 I thought my search will stop when I finally found my skin's perfect match, the Tony Moly Luminous Goddess Aura BB Cream, but up to this day, I'm still open to new discoveries. I know others out there don't prefer BB Creams. Some even dubbed them as glorified or overrated tinted moisturizers with heavy claims that aren't too realistic. Despite negative reviews about BB Creams, I still find it indispensable. So why am I so taken by these hyped up products? I initially thought it was because everyone else was into it but I eventually realized that I wasn't just joining the band wagon. I've kept it in my daily routine because it works well for my skin. I love that BB Creams came to existence because it gave me, a make up rookie, something to start with that doesn't require much experience. I love that you don't have to choose from tons of shades and end up buying the exact same product in a lighter or darker color just to match your complexion. I love that I don't need a brush or sponge to apply it. I couldn't agree more with other bloggers that they do come off sheer but some are buildable to give you medium coverage. Others may find the BB Cream's light coverage a con but I think I'm okay with it because I accept the fact that uneven skin tone and pimple marks can't magically disappear under BB Creams. So even if they claim to be skin perfecters, we as consumers should know better than to rely on advertising. I know BB Creams have other claims but I think of them as added bonus, some may be true, others not. I'm just enjoying the fact that they work for me more than other products did. I'm also excited about future improvements and innovations. Who knows, maybe someday they will come close to being a skin perfecter but for now, I'm contented with a natural look and detectable flaws here and there. After all, flaws make us real. Today is the day we celebrate that one person who loves us unconditionally and without whom none of us will be who we are today. 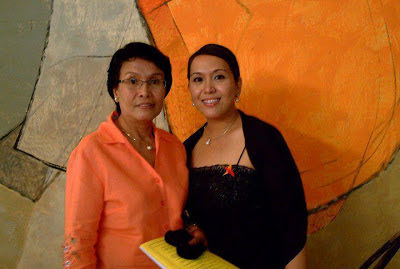 Happy mother's day to the loveliest person I've ever known, my mama. Thank you for being just the way you are, a loving mother to your children and everyone else who look up to you. We are most fortunate to have you in your lives. I love you mama! Hi guys! I know I've been complaining about the summer heat since April started but can you blame me? Every time I go out I feel like my skin gets parched even under the shade of my trusty umbrella. This is why I advise everyone to be prepared because it's like a freaking desert out there! So what do you need to face the summer heat in a tropical country like ours? 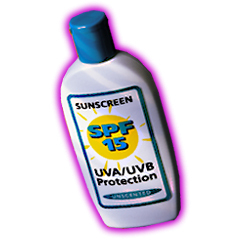 First of all you need protection from the sun's UVA and UVB rays. UVA rays penetrate the skin more deeply and plays a major role in accelerating skin aging and can also contribute to development of skin cancer. UVB rays on the other hand penetrate the skin less deeply than UVA rays and is said to be the primary cause of sun burn and skin cancer. 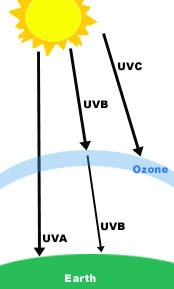 There are also UVC rays absorbed by the earth's ozone layer together with some of the UVB rays. 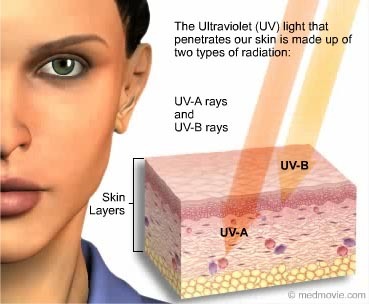 So most of the UV rays we come in contact with are UVA with a small amount of UVB. 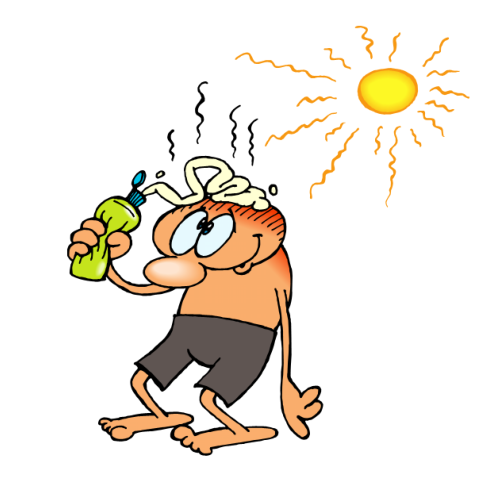 This is why you need to choose a sunscreen that offers protection from both UVA and UVB rays. So what type of sunscreen should you use? It's actually a matter of personal choice and may vary according to area of body to be protected. Creams are best for dry skin and on the face, gels are good for hairy areas such as the scalp while sticks are good to use around the eyes. Sprays are more preferred by parents for its ease of application. Regardless of which type you use be sure to apply it generously on exposed areas of your body like the face, neck and extremities at least 15 minutes before sun exposure. Other tips to get you through the summer is to drink lots of water to keep you hydrated and refreshed. Avoid too much sun exposure but if you can't, bring added protection from the sun like a handy umbrella. Umbrellas nowadays have UV protection as well like those manufactured by Umbra. So start giving your skin the protection it deserves and always make sure to never leave home without it. Remember, an ounce of prevention is better than a pound of cure. Thanks for reading and have a great day! Hi everyone! Two months ago I read a post from Project Vanity, one of the local blogs I follow, that Avon launched a new anti-aging product and was giving away a 28-day trial kit to a limited number of women. Since I love all sorts of new and free stuff, I signed up and luckily got this kit. Inside are 28 sachets of Avon Anew Clinical Pro Line Corrector with A-F33. 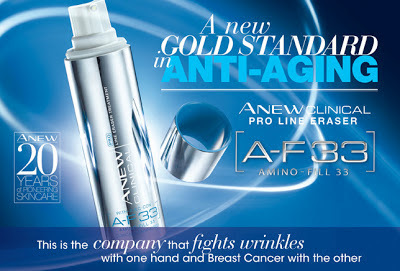 This is Avon's latest breakthrough in their quest to provide women with the best anti-aging skin care. A-F33 short for Amino-Fill 33 is said to help boost collagen production leading to improvement in fine lines in as early as 2 weeks based on a dermatologist supervised clinical study. Here's a closer look of the sachet containing 1 gram of product which for me is quite insufficient for twice a day use. Avon suggests to add this to your daily skin care regimen in between cleansing and moisturizing your face and neck. Since this product has retinol and may increase skin sensitivity to the sun, you need to limit sun exposure and use sunscreen all the time. This product is opaque white contrary to my expectation of a serum which is usually translucent or colorless. It has a tinge of chemical scent which doesn't smell too bad nor pleasant either. The consistency is comparable to a thin lotion that spreads effortlessly and melts instantly in your skin. I use a pea size on my forehead, cheeks, chin and neck. It does give a bit of shine but not overly greasy. I love that I wake up to a well moisturized and supple skin in the morning. This serum didn't give me any trouble at all. No skin irritation, pimple break outs or adverse reactions like redness or pain. After 1 week of religiously using this product, the only skin reaction I noticed was minimal peeling on certain areas of my face like the sides of my forehead which instantly disappeared the following day. I didn't get to take photos of my forehead peeling since it was gone almost immediately but I did get an image of my peeling neck which appeared on day 6 until day 7. The peeling skin didn't look too scary and lasted for 2 days without any pain or discomfort. A word of precaution, you have to let your skin shed spontaneously and not peel them yourself because that's when you will notice pain and redness. By the way, I am currently using this with Avon's Anew Rejuvenate Skin Revitalizing System kit which I got as a prize from Miss Shen's Anniversary Give-away late last year. I'll post a separate review on this kit next time but just so you know, I use the Anew Clinical Pro Line Corrector with A-F33 after cleansing my face with the Revitalizing 2-in-1 Gel Cleanser and applying Mineral Toner. I top this with the Revitalizing Cream at night or Revitalizing Cream with SPF 25 during the day. Overall, I really like this serum because it did a good job of safely and effectively rejuvenating my skin. In terms of reducing wrinkles, I can't really say too much yet since it's only been a week and I only have fine lines under my eyes and no deep wrinkles yet ( thank heavens! ). I'll continue to use this for 3 more weeks and give you an update. Thanks for reading and have a wonderful day ahead!